Oklahoma is full of strange and unusual places. 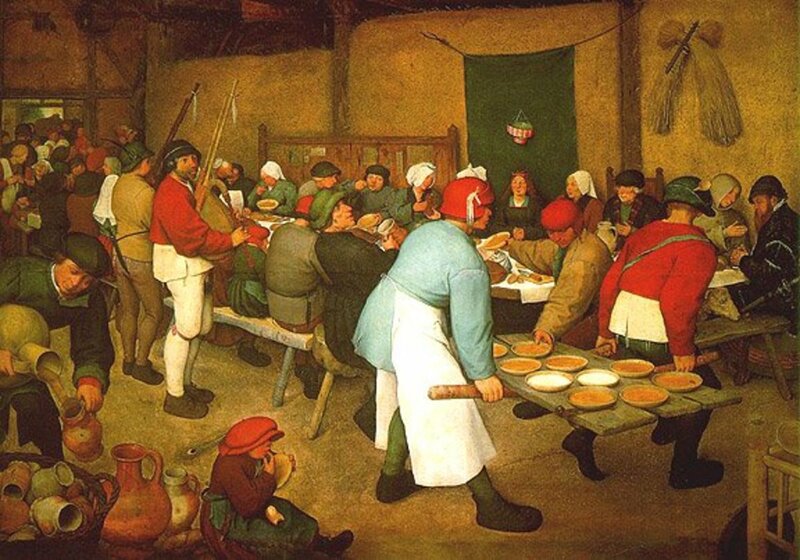 When most people go out to eat, they expect to find a traditional restaurant. These types of places can be found all across Oklahoma, from small towns to big cities. Occasionally though, visitors may run across the unexpected. These are not your typical restaurants. Instead, there's something that's wildly outlandish about them. The food is great, the atmosphere is amazing, and they become places that won't soon be forgotten. This list of 14 totally unique restaurants in Oklahoma is just that; places that won't soon be forgotten. 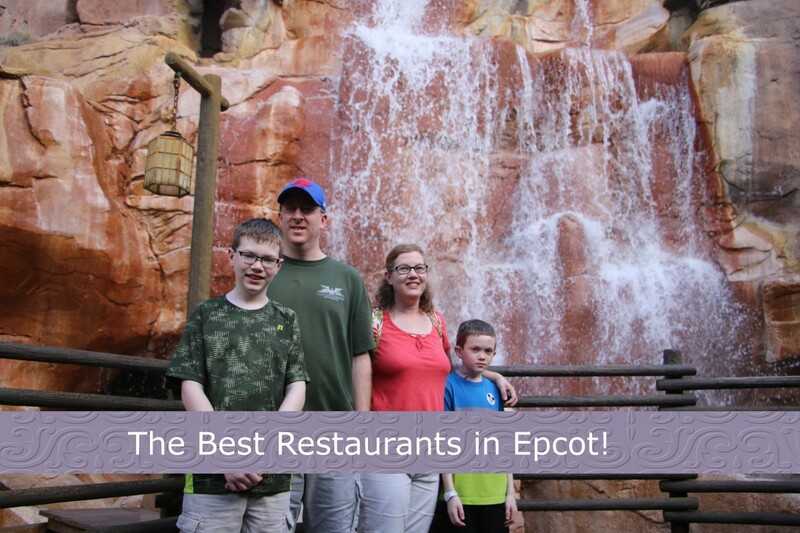 These restaurants were selected based on how good the food was at the time of the visit, how unique the atmosphere was, how clean the location was, and how well the staff provided customer service. Step back in time and dine in one of Oklahoma’s most unique restaurants. The Lost Spur Café, located in Sipokni West, looks back to a day when Oklahoma was still ruled by outlaws and lawmen. What makes this Oklahoma restaurant so unique is that it’s located in Oklahoma’s largest western movie sets. Built by retired actor Johnny Shackleford, the old movie set features quite a display. Sipokni West has been the site for many documentaries, and was even featured on Comedy Central. The Chickasaw Nation used the set to film movies such as the Chickasaw Rancher and Te-Ata. No Rest for the Wicked, Marshal’s Day Off, Curse of the Sacred Mountain, and Black Marshal, a story of Bass Reeves was also filmed here. Today, Sipokni West features gunfights, dance hall girls, and plenty of cowboys. Everything has been recreated to showcase the history of the late 1800s. The original builders as well as today’s actors try to make the site as authentic as possible. 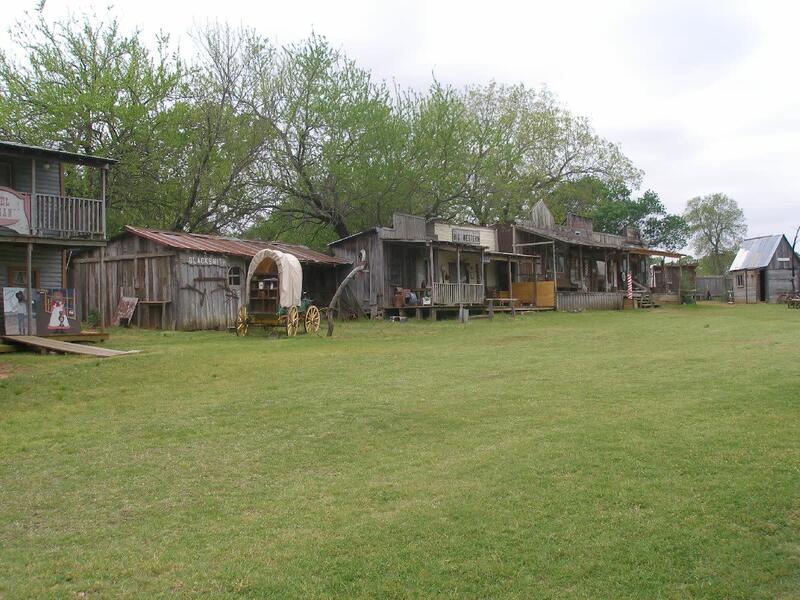 It also includes a large museum that features the Wild West history of Oklahoma’s early days. The site includes several fascinating buildings. These include a sheriff’s department, a telegraph office, a barbershop, the general mercantile store, stables, a hotel, and two restaurants. The Lost Spur focuses on home cooked meals, with a flair for meals that one may find on a chuck wagon. Another restaurant on site is the The Sipokni West Cowboy Cafe & Cattle Drive Saloon. This saloon takes people back to the late 1800s when the saloon was the center of town. Both places serve southern meals, including hamburgers, chicken fried steak, grilled chicken salad, beans and cornbread. The food has been rated as excellent, although the saloon is geared more towards adults. Sipokni West is located at 2200 Saw Mill Road in Mill Creek, Oklahoma. 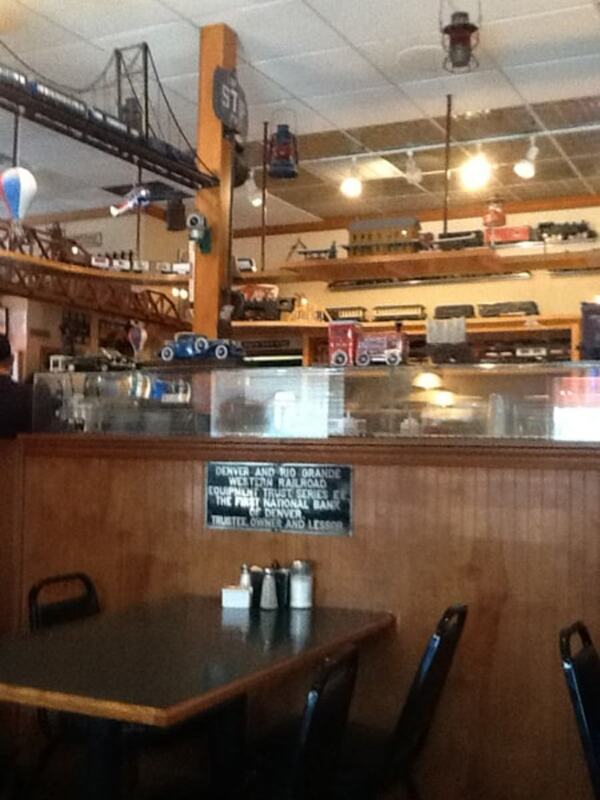 For the railroad enthusiast, there’s no better dining option than Ollie’s Station Restaurant in Tulsa. The restaurant is located on the site of an old train station and features railroad memorabilia from all over Oklahoma. While the railroad memorabilia is fascinating, the main thing that makes this Oklahoma restaurant truly unique are the several electric train cars found throughout. As you dine on your favorite home cooked meal, you can watch as the electric trains circle around the inside of the building. Ten trains run the length of the dining area. These run from G-Scale to Z-Scale models. Many of them run through detailed scale models of cities and landscapes that you may find during your travels across Oklahoma. The owners have acquired quite a collection of old railroad photos and model trains. These can be found throughout, with most of the walls adorned in old railroad collectables. This all stems from the owners love of the rails. During the 1800s, Red Fork was geared to become the Oil Capital of the world. Since then, Red Fork has essentially been assimilated into Tulsa, but it played an important role for many years. Oil had been discovered on Sue Bland’s land, and the railroad was already a thriving business. Up through the oil boom of the 1920s, the area where Ollie’s now stands was a thriving hub of activity. After the boom died out and the great depression hit, the area began to lose its importance. Today, the former traces of the prosperity of the 1920s are gone, replaced with a more modern influx of business. Ollie’s Restaurant offers a nod back in time to the hustle and bustle of those early oil boom days. Nearby, you’ll also find a steam locomotive and caboose that provides homage to the early 1900s. The food at Ollie’s Station Restaurant is decent; it’s not world-class fare but as for home-cooked meals, it’s quite good. You can find items such as fried chicken and beans, traditional breakfast, and they also have a great kids menu. Ollie’s Station can be found at 4070 Southwest Boulevard. Pops is best known for having the world’s largest soda bottle, but there’s much more to this modern-day Route 66 attraction than that. 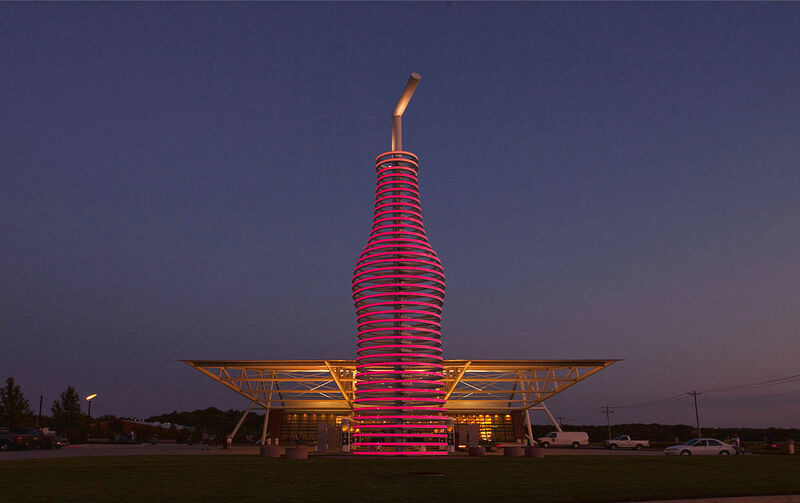 When first arriving, visitors are immediately stunned by the 66 foot tall bright neon soda bottle. From there, visitors pull into a modern gas station and restaurant. The gas station is fairly typical, except for the fact that visitors can order almost any kind of soda they can think of. In addition to serving up gas, they can also serve up over 500 different varieties of Soda. The real impact can be seen in the diner. 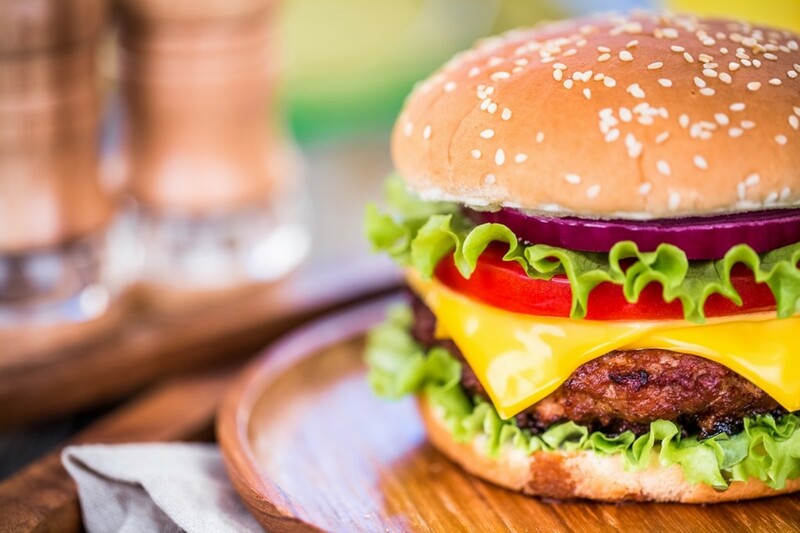 The cooks at Pops focus on traditional diner fare, and many have claimed that their cheese burgers are out of this world. In keeping with the soda theme, the diner has displays that feature hundreds of soda bottles lining the wall, any of which you can order to drink there or have shipped to your home. Pops is located at 660 West Highway 66 in Arcadia, Oklahoma. Oklahoma has a wide variety of unusual restaurants, and the Southern Belle is right at the top of the list. 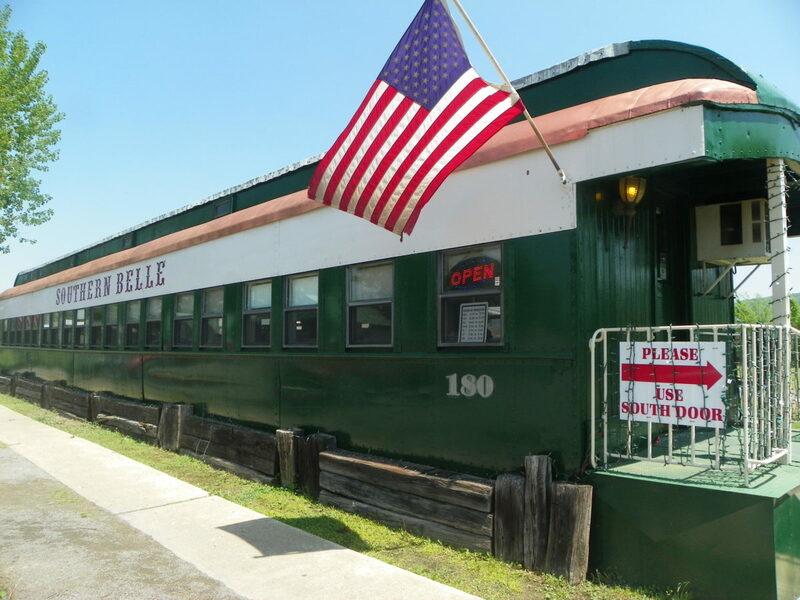 The restaurant is located inside of a 1905 model railcar that has been fully restored to its 1940s elegance. Although it may look small, this unique restaurant can hold up to 50 diners. The Southern Belle was once an active car on the Kansas City Southern line. From 1940 until the end of its passenger rail service in 1969, the Southern Belle was known as the “Sweetheart of American Trains”. The car traveled between Kansas City and New Orleans, running at a distance of over 850 miles in just over 20 hours. After the rail line went out of service, the passenger cars were retired and virtually abandoned. In a process that would take many months to complete, local railroad buffs purchased one of the Southern Belle passenger cars and sat about refurbishing it. After it was completely restored, it was then turned in to the Southern Belle Restaurant in Heavener. Southern Belle’s signature dish is the “Southern Belle Chicken”. These perfectly cooked strips are marinated, breaded, and served with the house dipping sauce. Visitors can also order steaks, burgers, fish, sandwiches, and pork chops. For those looking for “down-home” cooking, it’s hard to find a better place to eat in Southeast Oklahoma. While the food isn’t especially spectacular, the setting is. The Vinita Service Plaza was built in 1957 and once housed the world’s largest McDonalds. Known as the “Glass House”, the restaurant spans the width of the Will Rogers Turnpike. It was originally built to contain one of the Glass House restaurants, owned by the long-dead Interstate Hosts Company. Later, it was turned into a Howard Johnson restaurant, before finally claiming the title of World’s Largest McDonalds. Both sides of this majestic building overlook the highway and feature large glass windows, allowing visitors a fascinating look at the traffic far below. Two golden arches located on either side of the bridge help support this massive structure. Near the front on the west side is a large statue honoring Will Rogers. Adjacent to the building is a gas station that serves both directions of travel. To get to the restaurant, visitors exit from the highway, and then enter through one end. From there, head upstairs or take the elevator. Up until 2012, the McDonalds located in the Vinita Service Plaza was the largest McDonalds in the world. 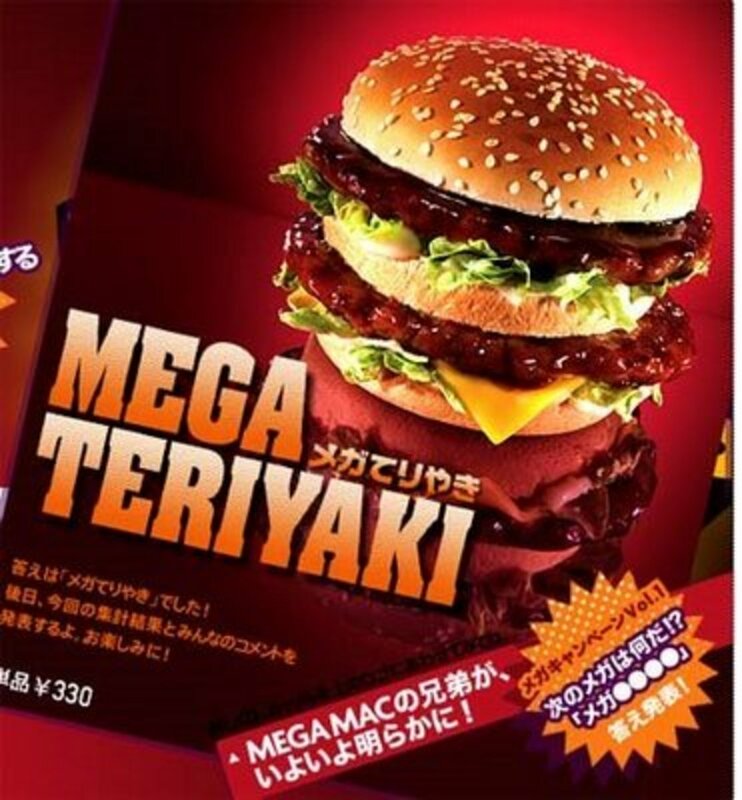 It is only topped by the McDonalds located in London. In 2012, the one in London was built to play host to the Olympic and Paralympic Games. It measures in at a staggering 32,291 square feet. This is just slightly larger than the Vinita McDonalds, which measures in at 29,127 square feet! Even though it has lost is place at the top McDonalds, there is still much to see here. There are some claims that the new restaurant in Orlando tops both of these, but actual eating space is very limited. After the renovations, the space was divided between McDonalds, Subway, and a large gift shop. It was also renamed the Will Rogers Archway. 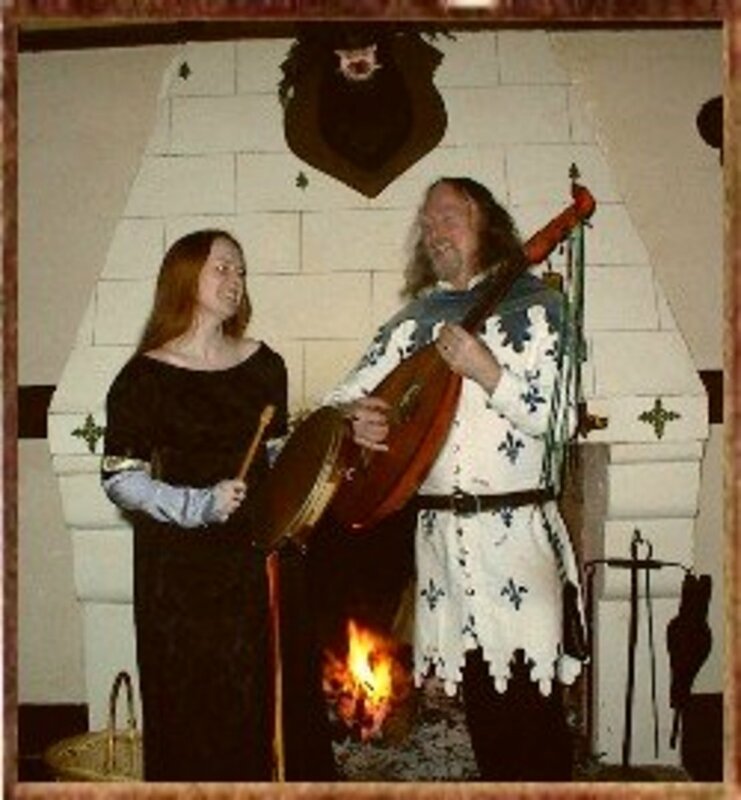 If you’re looking for a medieval romantic rendezvous, the Primrose at Castle Falls is the place to go. Castle Falls may be just one of many of the castles in Oklahoma, but it can easily be called the grandest. Near the end of World War One, Bill Blecha decided to build one outside of his home in Oklahoma City. After the war hero returned home, he began managing the Manhattan Construction Company. This provided him with a lot of architectural pieces that were removed from historic buildings. He spent many years collecting before rediscovering his beloved castle in an architectural catalog from 1945. This renewed his interest in building the castle. Using pieces from the old airport, Colcard, and the Oklahoma County Courthouse, he began working on his dream to build the castle. The three story castle was built into the side of a hill on a five acre plot of land, which helped give it more of the medieval feel that he was looking for. Constructed of 24” thick walls, it took him close to five years to build. Once complete, Castle Falls became his home until his death in 1989. The Castle transferred ownership in 1994. The basement was transformed into a German Restaurant known as Keller in the Kastle. While the business did well, it was offered for sale 10 years later. In 2004, the property came under the ownership of Amy Rollins and Ralph Rollins. They immediately began converting the castle into a premier destination point for events and activities. Today, the castle features a “Grande Hall”, a library on the second floor, a master suite on the third floor, as well as two different eating locations. The Cellar at Castle Falls is located on the second floor and offers European cuisine with an old-world feel. This restaurant also includes outdoor seating in the garden areas; however, it is limited to those six years of age and older. Eating options include items such as steak, pork loin and salmon. The Primrose at Castle Falls is located on the second level. It offers a menu with five-course meals, and includes semi-private dining in the library. The Primrose is limited to those thirteen years and older. Eating options include items such as their signature plate, Filet Stroganoff, and also offers items such as chicken and pork entrees. A full service bar is also available. Castle Falls is located at 820 N MacArthur Boulevard in Oklahoma City, Oklahoma. For those looking for a little excitement with their meal, the Dinner Detective at Sheraton Hotel is certainly worth a visit. 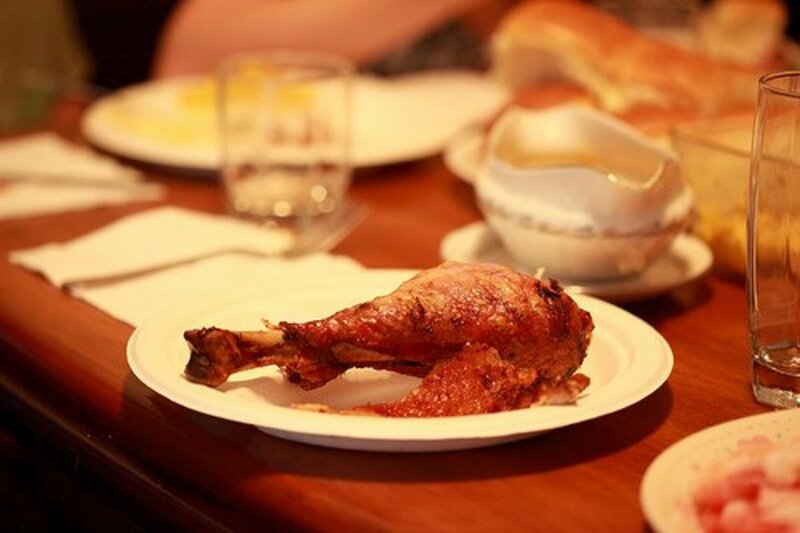 Billed as the nation’s largest interactive murder mystery dinner show, this Oklahoma restaurant offers a four course meal and an unforgettable show. The premise is that a murder happened just before dinner, and the murderer is now sitting with you at the table. Along with the murderer, there are several non-costumed actors in attendance, any of which could have committed the crime. The guests’ role is to try to solve that murder. The show itself is highly entertaining. Comedic actors perform roles as smoothly as if they actually did the deed. They engage with visitors in a way that makes them part of the group; visitors may not realizes who is acting and who is there for dinner. Detectives help move the show along by offering clues, interrogating audience members, and encouraging actions. Many times, guests may not be able to solve the crime before the murderer is revealed. In that case, the person who has the closest guess will win the prize package. The menu is fairly limited, consisting mainly of cornmeal crusted chicken breast, blackened tilapia, or grilled eggplant, but the entertainment certainly makes up for the limited choices. This restaurant can be found at 1 Park Avenue in Oklahoma City, Oklahoma. This is one for the avid airplane enthusiast, or for the kid in all of us who just likes to watch airplanes take off. 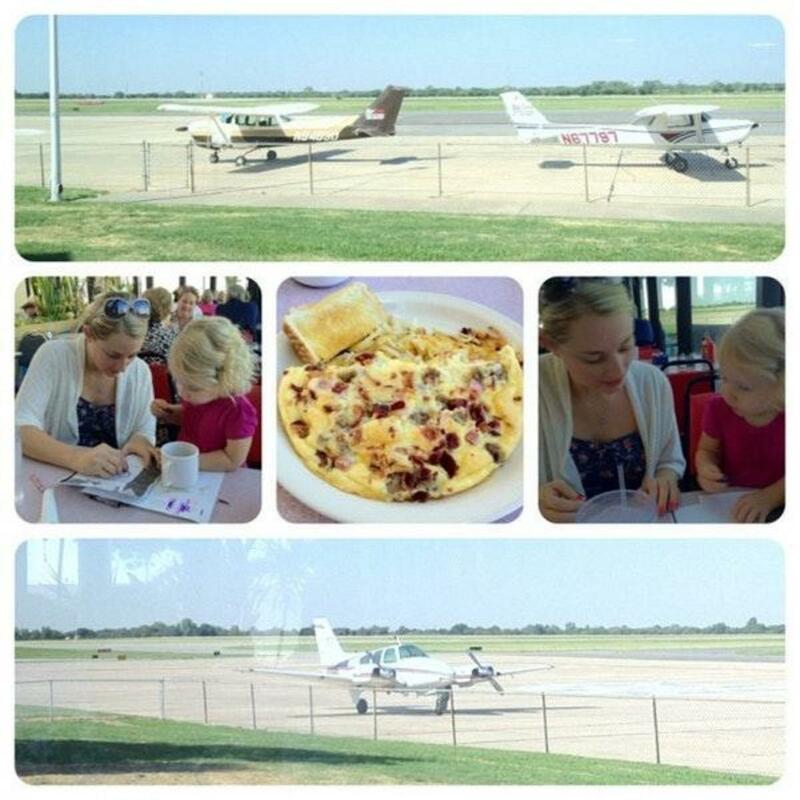 Annie Okie’s Runway Café is located just under the control tower at Wiley Post Airport in Oklahoma City. The restaurant was originally opened to serve pilots and crew using the airport. Several years ago, it was refurbished and reopened as Annie Okies, and has been a favorite destination dining point ever since. Situated very near to runway 17/35, and fronted with a large, open expanse of glass, you can expect great views. For those wanting to get a little closer, an outside area has been set up for photos and viewing. The only drawback is the wait time to get a seat, but it is well worth it. While there, visitors can witness large business jets to smaller, privately owned Cessnas. The food at Annie Okies mainly consists of breakfast, which is served all day, or lunch special items. Bleu Garten in Oklahoma City is a favorite stomping ground for foodies everywhere. 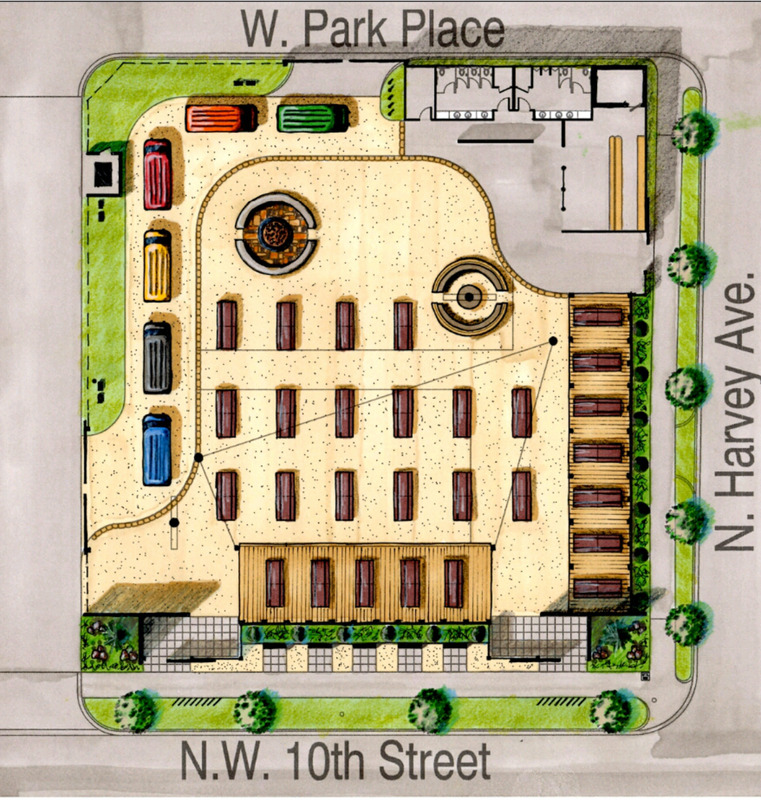 This was Oklahoma’s first specifically designed food truck park. As such, it provides a great outdoor eating venue and gathering space. To make the location comfortable no matter what time of year it is, Blue Garten features plenty of shaded seating, cooling misters, and large area heaters. On many days, visitors can find live music and theater throughout, as well as a variety of games and other entertainments for the family. For those worried about missing the big game, large flat screen televisions are stationed in various areas of the park. In many ways, this is a new concept to the traditional food truck court. While most courts feature seating, Bleu Garten has gone the extra mile to provide a comfortable, relaxing, and fun atmosphere. The many types of food that can be found there varies, but no matter what one is craving, there’s something at Bleu Garten that will satisfy. Bleu Garten is located at 301 NW 10th Street in Midtown Oklahoma City. The Spudder in Tulsa is an oilman’s delight! This unique restaurant can be called a throwback to the great days of the oil boom. Hundreds of photographs and other oil memorabilia can be found throughout. Even the origins of the restaurant can be traced back to Tulsa’s rich oil history. These origins start with John Phillips, the son of oilman Frank Phillips. Phillips and his partner, John Brennemen decided to open the unique restaurant in 1976. It has been in steady operation ever since. 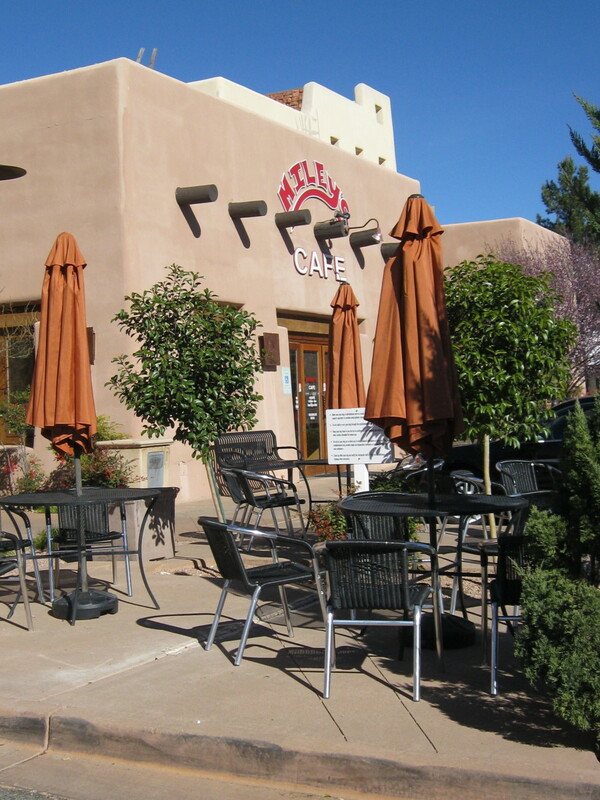 The restaurant was later sold in 2011 to Kim and Steve Jeffry, who continue to run the business today. When first arriving, visitors are greeted immediately with one of the most important tools of the early oil trade, the spudder. This devise was an old cable rig that was used for drilling shallow wells. The one outside the restaurant originated in Wichita Falls is the 1920s, and is an authentic piece of history. From first entrance to when the meal is served, visitors are immersed in the history of the oil industry. Even the rolls are brought to the tables in reproduction 1920s lunch boxes. While the atmosphere is amazing, the food may be even more so. This “traditional” steakhouse was even featured on the Travel Channels “Man vs. Food”. The original episode titled “Tulsa” aired on June 15, 2011. The Spudder is located at 6536 E 50th St, Tulsa, OK 74145. Photos such as this one can be found lining the walls in The Spudder. 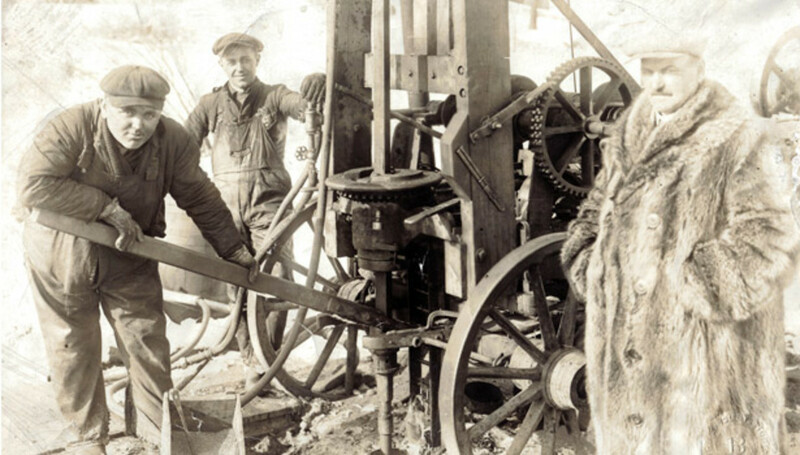 This photo shows a spudder used during the 1920s. Tokyo Pot brings a touch of Asian culture to Oklahoma. This Asian inspired restaurant is one of a kind, featuring a Shabu Shabu type of dining experience. What is Shabu Shabu? 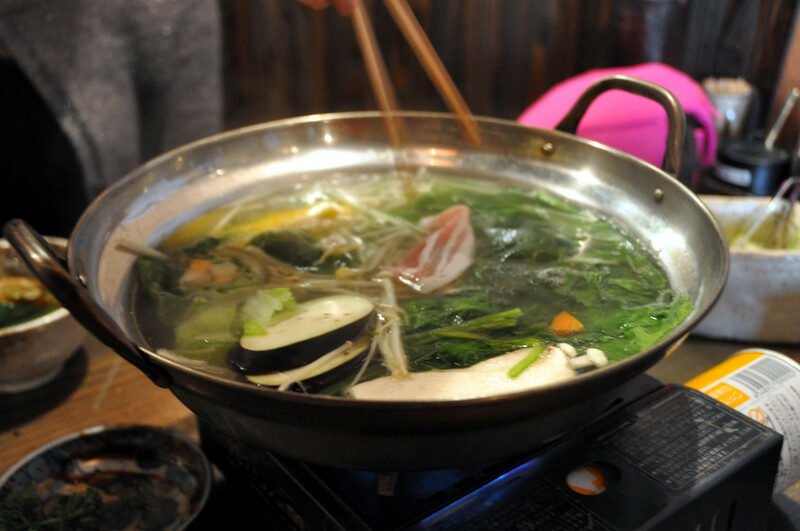 Traditionally, it is dish of thinly sliced meat and vegetables boiled in water. What makes it so unique is that each piece is cooked individually at your table. After all the guests are seated, two burners embedded in the table are lit. Waiters bring out two large bowls of broth and begin heating them on the burners. Once they start to boil, thin pieces of meat and vegetables are brought out. From there, it’s up to the guest to cook them. In many ways, it’s similar to fondue. The ingredients can include pork, chicken, rib eye, lamb, red snapper and shrimp. A variety of vegetables are brought out as well. All of the ingredients are seasoned before they’re brought out so you can be assured of having an excellent meal. The meal also encludes Enoki mushrooms, carrots, Napa cabbage and rice. The atmosphere of Tokyo Pot is simply amazing. The unassuming exterior hides the beauty and tranquility that lie within. Bamboo lined walls and Asian lanterns provide a relaxing feel to the place, while the community tables encourage conversation with neighbors. For those wanting a unique dining experience in Oklahoma, this should be in the top ten list. Tokyo Pot is located at 108 West 10th Avenue in Stillwater, Oklahoma. 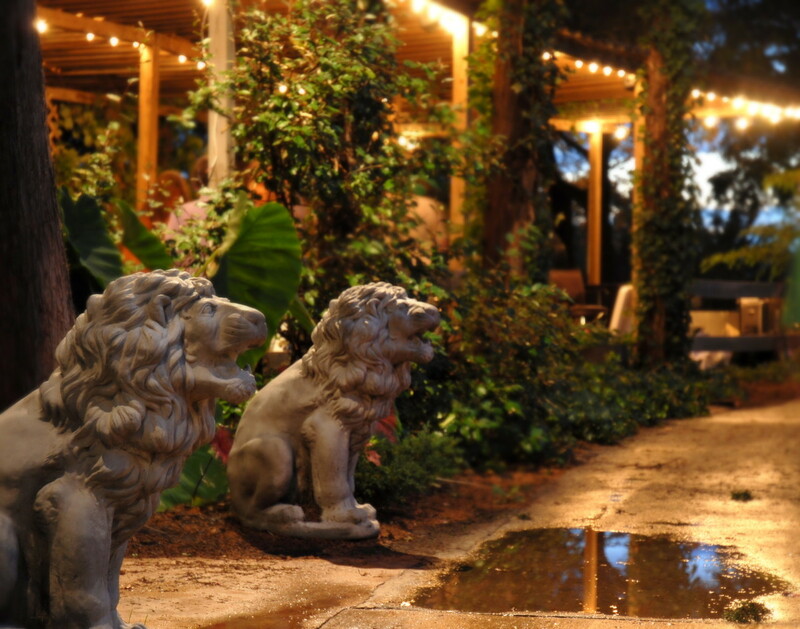 Molly’s Landing has been rated one of the best restaurants in Oklahoma for several years now. This family owned eatery is certainly one of a kind. Located in a rustic log cabin, the building was constructed in 1984 for a family that moved to Oklahoma from California. The original house contained three bedrooms and a garage. It has since been transformed into one of Oklahoma’s favorite steak houses. Molly’s offers private dining rooms that can accommodate groups up to 45 people. Many of the rooms are decorated with hand painted oils of local regulars, which helps to further the home-town feel of the business. A decent sized gift shop caters to those visiting from out of state. For more than 30 years, Molly’s has been serving some of the best food you can find in Oklahoma. At Molly’s, guests can order wet aged steak, premium lobster, shrimp, and a variety of seafood. In fact, many have claimed that Molly’s offers the best seafood in the state. There are two things that make Molly’s Landing truly unique. In addition to the great setting and exceptional cuisine, just outside of Molly’s is a helicopter landing pad. Visitors to Tulsa can take a tour with Tulsa County Helicopters and then land at Molly’s Landing for an excellent meal. While that is exciting in itself, one thing that makes Molly’s truly exceptional is their dedication to preserving history. One of the first things people notice when arriving is the large WPA era iron bridge just outside of the building. The old Bird Creek Bridge was originally built in 1936. As part of Route 66, the bridge is an iconic piece of American history. By the 1990s, the bridge was really showing its age. 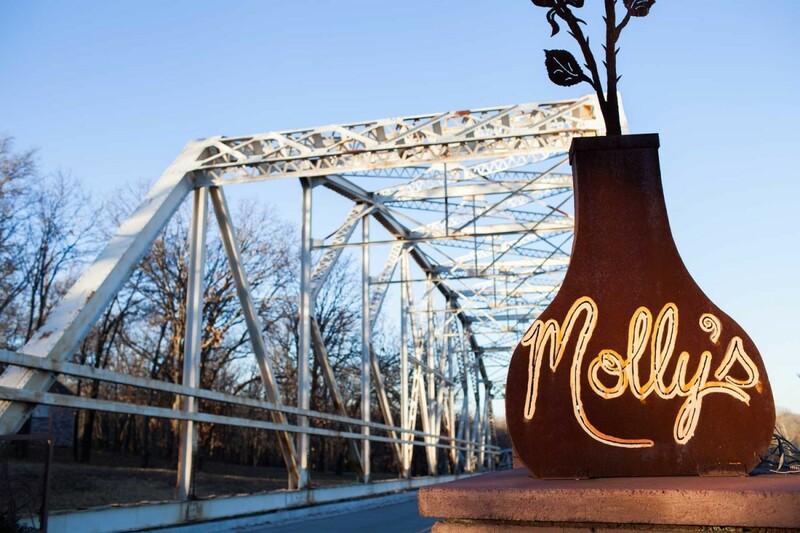 When the Oklahoma Department of Transportation decided to replace the bridge with a modern upgrade, the former owners of Molly’s Landing stepped in to help. After contracting with Manhattan Road and Bridge and consulting with Oklahoma Department of Transportation, the owners of Molly’s Landing had the bridge relocated to serve as an entryway to the restaurant. Today, the bridge has grown to be a major attraction in itself. At almost any time of day, there are groups standing outside taking pictures with it. Between helicopter rides, Route 66 nostalgia, and great eats, Molly’s Landing is certainly one of the hottest places to eat in Oklahoma. Molly’s Landing is located at 3700 North Old Highway 66 in Catoosa, Oklahoma. Although The Pump Bar isn’t technically a restaurant, it is still deserving of a place on this list. What was once a small service station, this tiny building has grown to become a huge attraction in the Uptown 23rd District. Opened by an Oklahoma native and semi-professional baseball player, the building started life in 1929 as a Texaco service station. After many booming years, it was then sold to Elmer Gentry in 1953. Known as “Elmer’s Texaco”, the station had two gas pumps and a full working garage. They would repair brakes, tires, and had a full lube rack. Elmer was known throughout towns as a community minded person. Many times, he would make personal calls to pick up a car in need of repair. As part of his service to the community, he would often hire on at-risk youth to provide them with a safe, positive place to work. The doors finally closed in 1978. From then, the building served as a variety of businesses, including a car wash before it was finally abandoned. Around 1995, the building was put on the city’s dilapidated list. Then, a huge transformation happened. 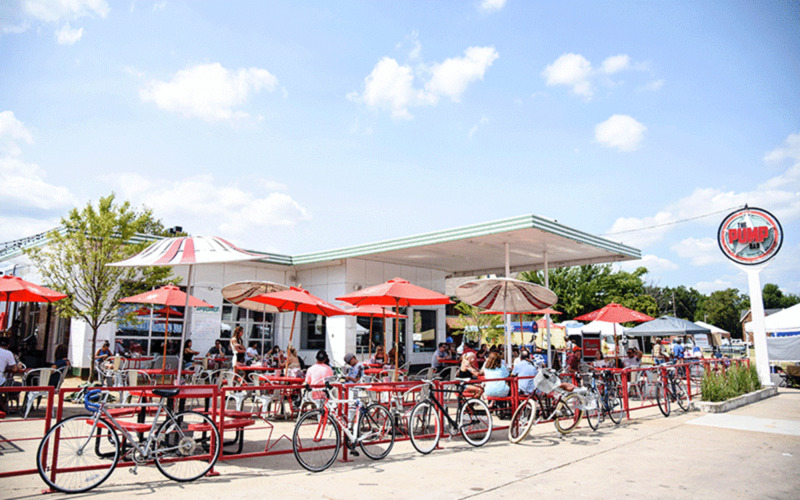 On December 17, the former Texaco station reopened as The Pump Bar. Where mechanics once changed oil is now one of the trendiest spots in Oklahoma to have a drink. The bar and seating can be found inside the old mechanics garage, which has been converted and now offers a modern flair. Classic cult cinema can be found playing on the flat screen televisions overhead, while Harry Potter music welcomes people as they enter the restrooms. Outside is a 9,000 square foot patio area where most people gather. The focal point here is a large gas fire pit surrounded by more TV’s and game areas. While The Pump Bar mainly serves alcohol, they also offer a good variety of bar food. As with any bar, visitors must be 21 or older to enter the gates. The Pump Bar is located at 2425 North Walker Avenue in Oklahoma City. No Oklahoma restaurant list would be complete without the Cattlemen’s Steakhouse. 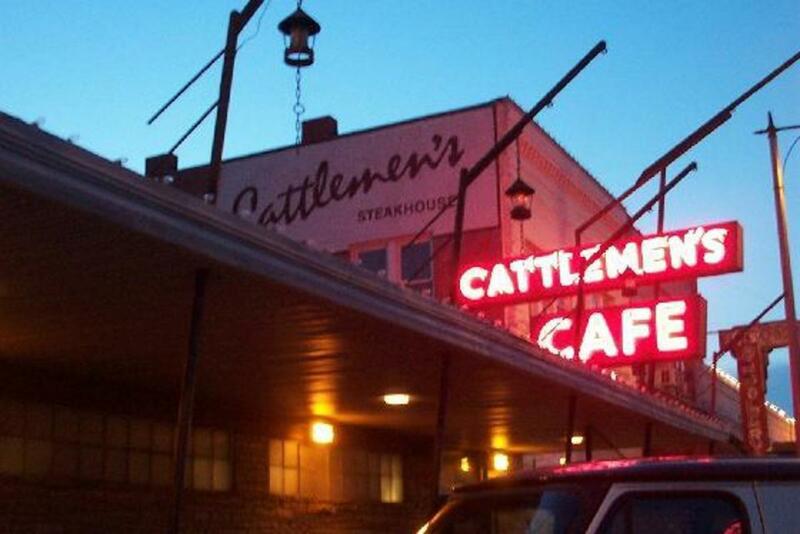 Known as Oklahoma's oldest continually operated restaurant, Cattlemen’s began life in 1910. During those early years, it was known as a local gambling house and eatery. At this time, Stockyards City was booming. Massive herds of cattle were driven to Oklahoma City to be shipped off to the east. Business took off even more after two major meat processors moved to town. By 1926, when H.V. Paul took over Cattleman’s, Stockyards City was known as “Packing Town” and employed thousands of workers. Cattleman’s was one of the most frequented places in the area. This was in part because it was one of the few places that stayed open after dark. The restaurant’s reputation continued to grow during the prohibition era, as it was known to be a bootleggers hideaway. One of the more colorful stories of Cattleman’s was how the restaurant changed hands shortly after World War II. At that time, it was owned by Hank Frey. While gambling in the Biltmore Hotel downtown, he began losing heavily. Not wanting to walk away with empty pockets, he placed a bet on Cattleman’s. As luck would have it, he lost the bet. Gene Wade, a local rancher, came out the winner and found himself as the new owner of the Cattlemen’s Steakhouse. The history and growth of Cattleman’s Steakhouse can be seen throughout, starting from the original building through the additions that Wade had built through the years. Along the walls, photographs of famous people who have visited line the walls. 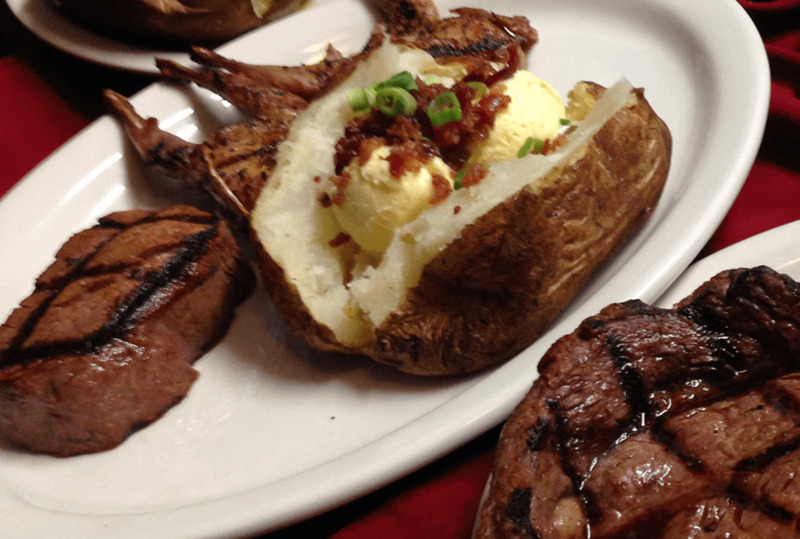 These include such famous personalities as Gene Autry, John Wayne, Ronald Reagan, Reba McEntire, and George Bush Sr.
Cattleman’s has been rated time and time again as the best steakhouse in Oklahoma. With its history, it’s no mystery as to how it achieved that claim to fame. Cattleman’s Steakhouse is located at 1309 South Agnew Avenue in Oklahoma City, Oklahoma. This is a very useful guide for any visitor to Oklahoma. Wow! So much to see and do here in Oklahoma. Would certainly like to dine at Tokyo Pot, Stillwater and watch them cook my snapper. Thanks for the tour. I have been to some of these, but not all. Great story. These all sound like interesting places in which to dine and have some fun exploring. That Pops Restaurant is truly an eye catcher with that giant neon soda bottle! Thanks for writing about them.